‘Tis the season for giving…. When we receive a massage, it is a chance to give back to ourselves which we all deserve. Now your massage can give back to someone else! Starting this December 2015, a portion of our treatments will be donated to the Milk Bag Project. A beautiful organization that helps humanity in so many ways! Milk bags don’t disintegrate in landfills. This organization repurposes this plastic by making mats, purses, slippers and much more to repurpose this “trash”. These products, that are made with the milk bags, are then donated around the world to countries that are devastated. They provide mattresses and other items that allow these people to live a more comfortable life. This charity then teaches women how to make these items and make a living doing so. They are making mompreneurs!!! It’s amazing! 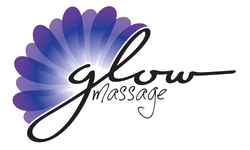 For the ENTIRE month of December 5% of each massage (after taxes) will be donated. Get a massage TODAY to help give back! Come Visit us at Vellore Village Community Centre for a FREE Movie Night!!! We will be set up and handing out water bottles for those attending. We are so looking forward to meeting everyone at the event!